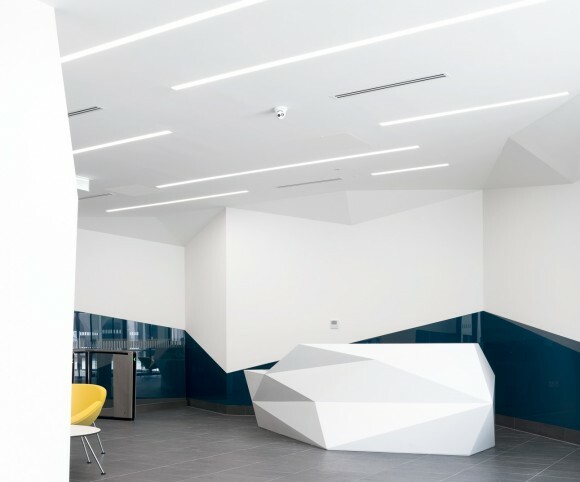 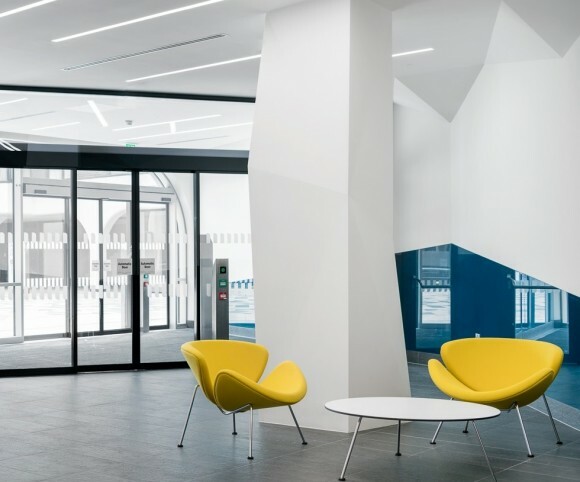 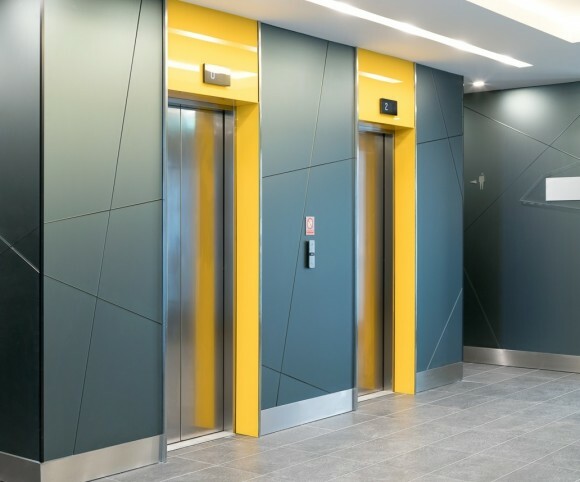 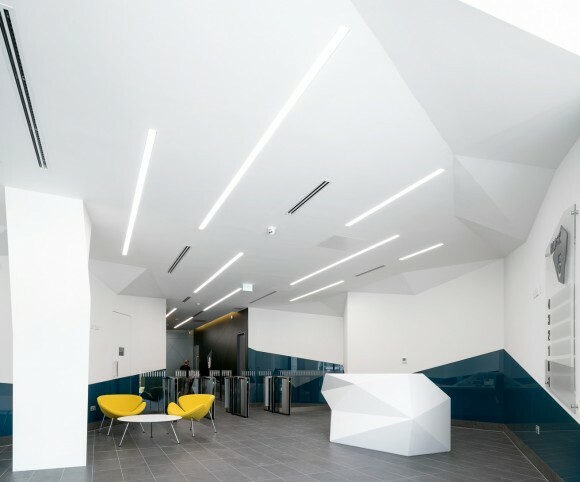 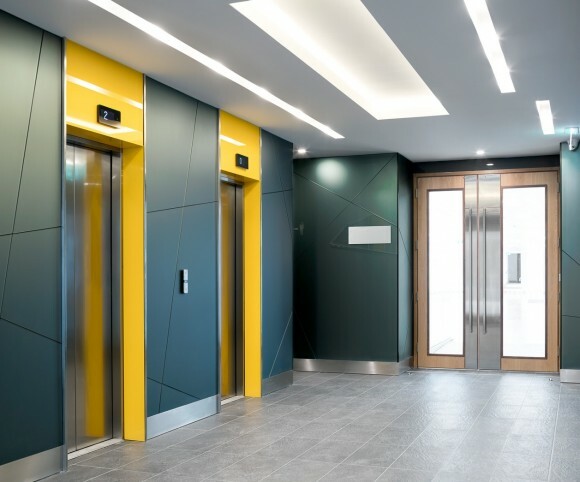 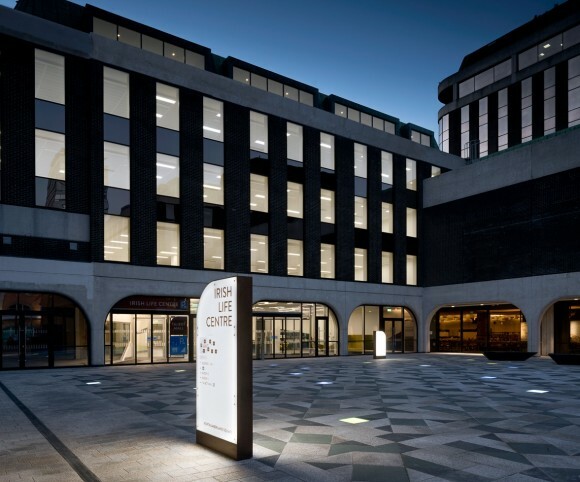 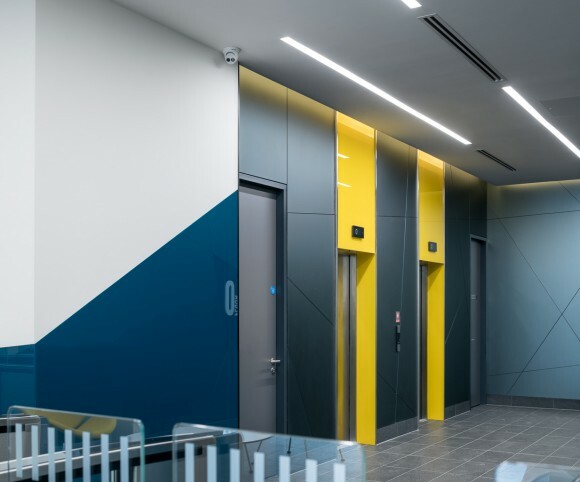 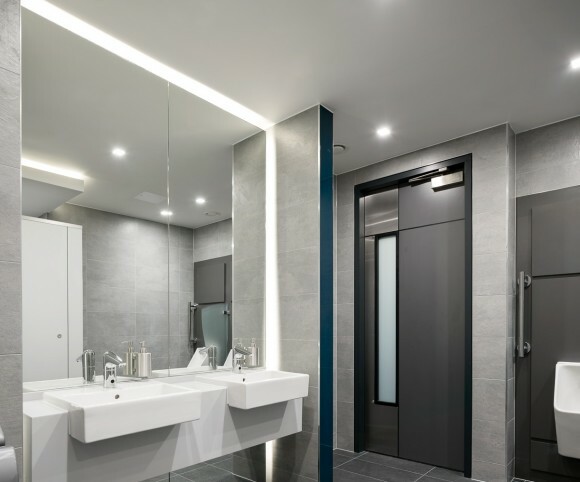 The scope of refurbishment of three interlinked office blocks (c.5,300 sqm) includes: the reconfiguration and fit-out of the entrance / reception area; replacement of bronze anodised curtain wall glazing; roof replacement; lift lobby / toilet core upgrades; Cat. 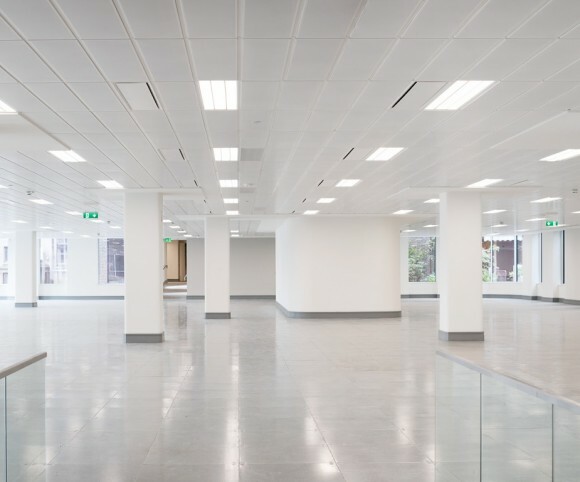 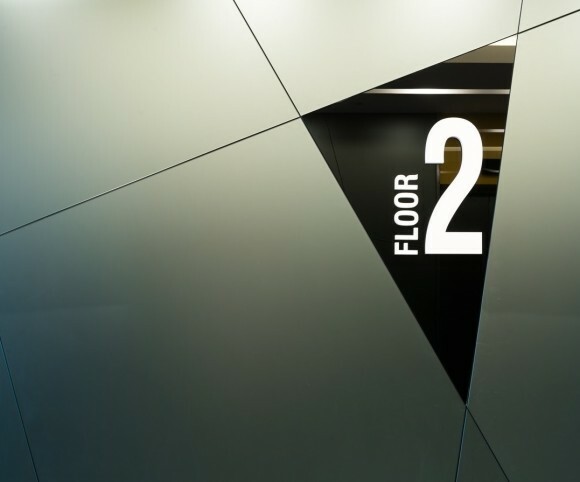 A fit-out to all office floor areas; lift replacement; associated services upgrades. 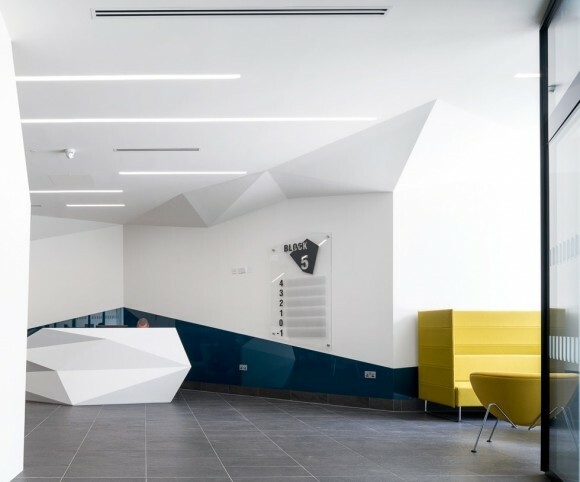 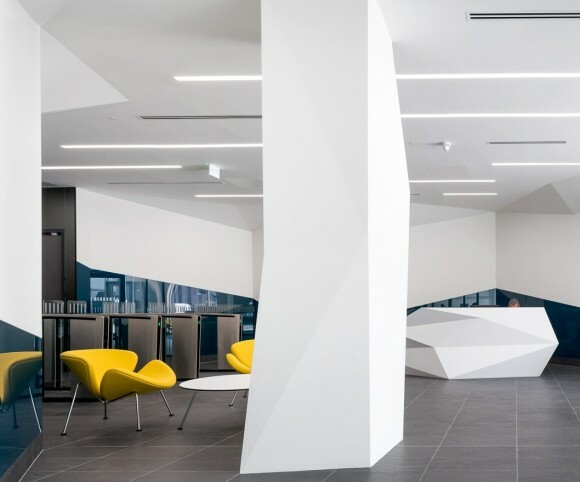 The unfolding landscape of irregular geometries and faceted material patterns applied throughout the core areas responds to complex site constraints. 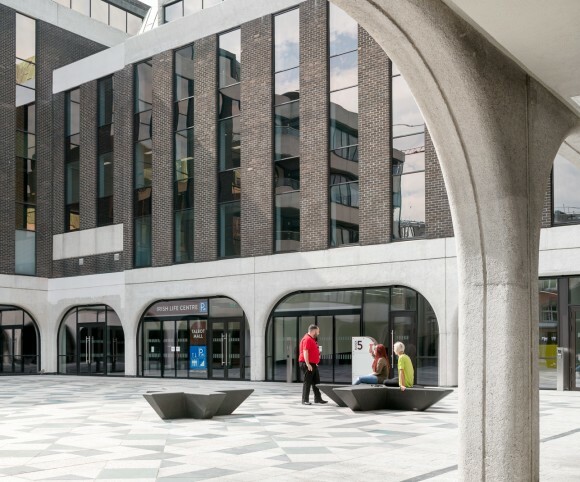 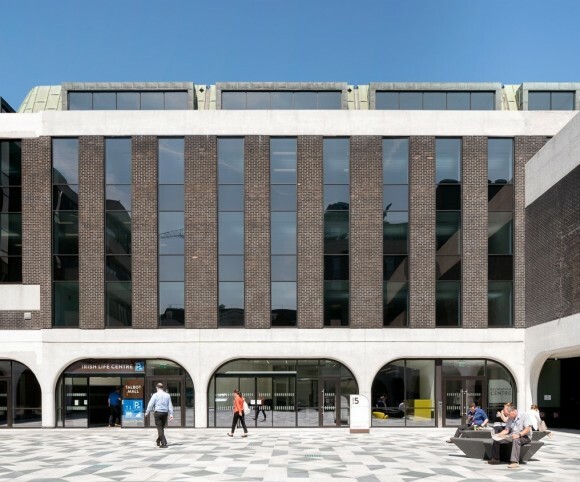 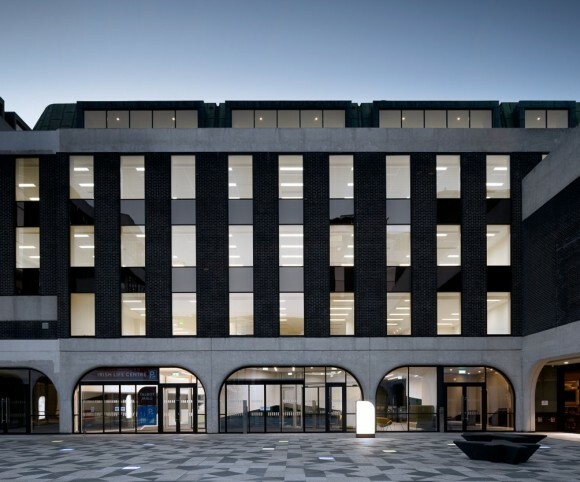 The office block is enhanced by external connections to the new urban square formed to the front and a rejuvenated courtyard garden space to the rear.